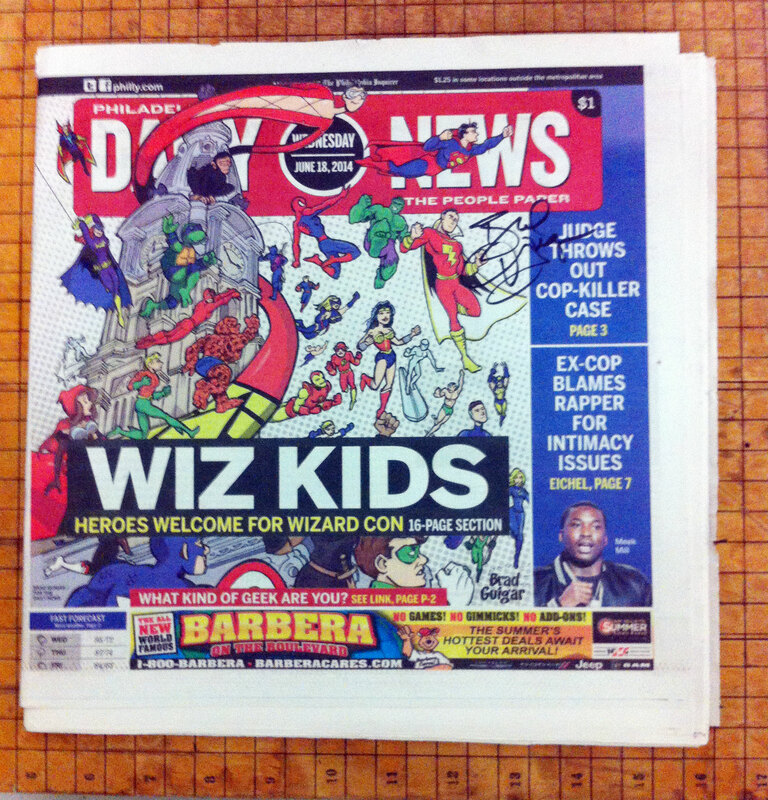 On the Wednesday before Philadelphia Comic Con 2014, the Philadelphia Daily News featured the convention on its front cover with an illustration by Brad Guigar. His kinetic drawing of Marvel and DC superheroes whirling around Philly’s iconic City Hall was featured on the front page — and again on the cover for a special 16-page promotional section that promoted the convention. 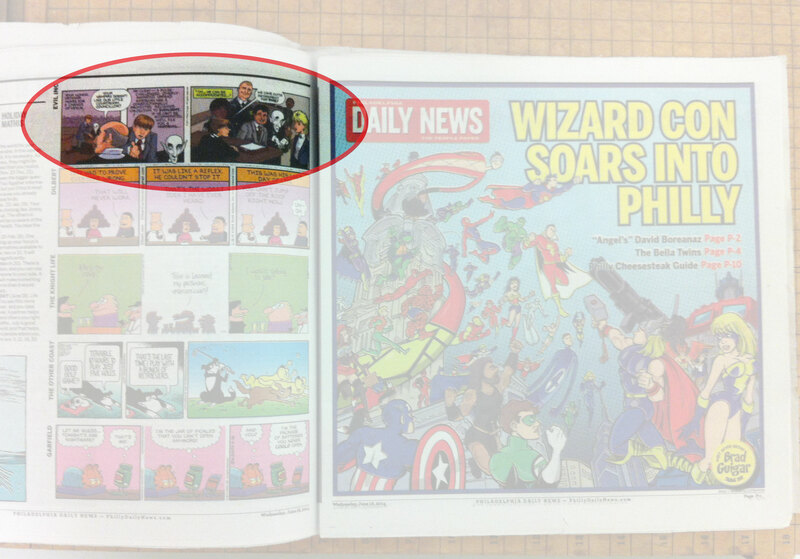 This commemoration edition of the Daily News will ship in its entirety — you’ll see the front page, the section front, the half-page ad promoting Guigar’s appearance at the show… and you even get to see the Evil Inc comic atop the newspaper’s comics page. Each newspaper is signed on the front page.